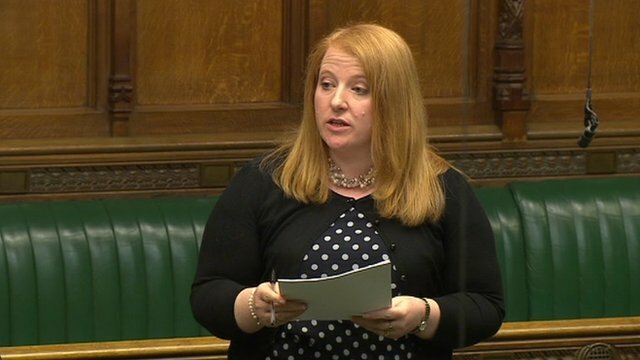 Naomi Long, MP for Belfast East and deputy Alliance Party leader, has told the Commons that religious persecution is on the rise. She opened a backbench business debate on 1 May 2014 by saying that the freedom to subscribe to any religion or none is not offered enough protection by the UN. She referred to it as a "residual right" and warned that "within the family of human rights it remains on the margins". She cited figures from the Christian charity Open Doors apparently showing that religiously motivated murders had increased worldwide, singling out Nigeria, Syria, Pakistan and Egypt as countries where Christians are particularly oppressed. Conservative Sir Tony Baldy, who as Second Church Estates Commissioner liaises between the Commons and the Church of England, agreed that "persistent work" is needed to ensure that freedom of religion is seen as "just as important as climate change" by bodies such as the UN. Shadow Foreign Office minister Ian Lucas focused on the need for human rights to be defended through diplomacy, referring to "the difficult conservations take place between one government and another government when a government does not live up to the standards we would wish to see". Responding to the debate, Foreign Office Minister Hugo Swire said the government was committed to "constantly raising religious pluralism and tolerance in our discussions with other governments".